Researchers at CONICET conducted a study on sleeping birds to understand the fine interactions between the motor and sensory programs involved in complex vocalizations. 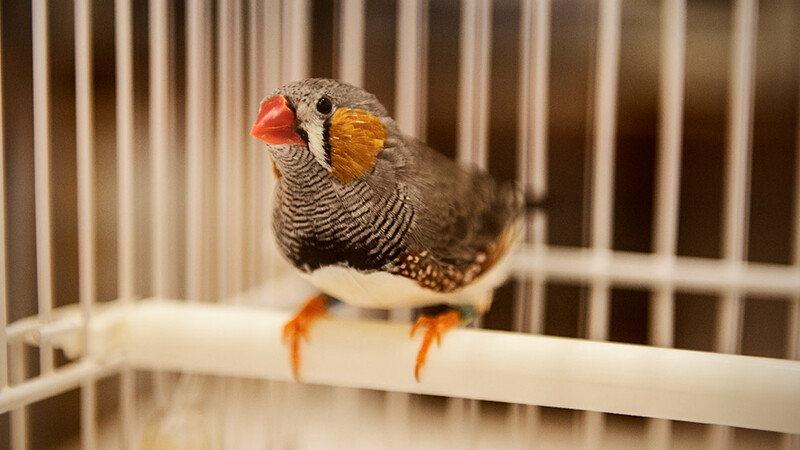 Songbird’s species serve as experimentation models to study complex vocalizations humans make when they talk. These birds have certain similarities in the way they produce and modulate the sound and the fact that they need a tutor to learn that early in life. Unlike passerine birds, if these species are raised in isolation, they cannot produce their own typical singing. CONICET researchers have recently published a study on one species of singing birds which show a new way to understand the interactions between the motor and the sensory programs in organisms that can display complex vocal behavior. The results were published today in PNAS. “Through the experiments conducted with individuals of the species Taeniopygia guttata (known as diamond mandarin), we observed that while they sleep, the playback of their own songs makes these birds produce movements in the syringe that copy what they do when they make the sounds”, Alan Bush explains. He is a CONICET postdoctoral fellow at the Instituto de Física de Buenos Aires (IFIBA, CONICET-UBA) and first author of the article. So far, we knew that during their sleep, the playback of their own song activated in the central nervous system the same neurons involved in song execution. Nevertheless, this discovery opens up the possibility to better understand the fine coordination that takes place in the motor and sensory program in complex vocalizations. “Despite the importance of the information obtained after measuring the activity in one or a few neurons through electrodes, this information will always be limited as there are thousands of neurons involved in complex behavior. Although I can observe what happens in one neuron at a specific time, I can’t know what is taking place in the rest of them. In turn, if I measure the answer in one of the muscles of the voice tract, I can obtain a global vision of the system”, Bush affirms. The researchers managed to prove that through a physical model of the avian voice tract, the playback of synthetic versions of the birds’ own singing when they sleep produces exactly (although it is less frequent) the same muscular response in the syringe. The conclusion is that, considering occasional lack of response, the voice tract’s response after this kind of stimuli cannot be partial. “This research is part of a larger study that seeks to understand what happens during these birds’ sleep. The problem of measuring only some neurons in the central nervous system is that the information we obtain is limited. For this reason, the idea is to use the peripheral and the biomechanical systems as a window towards the brain so as to globally understand what happens during this night habit”, concludes Gabriel Mindlin, CONICET senior researcher at the IFIBA and director of Bush, who is also author of the study.